One popular brain myth is that dogs can only see in black and white. It's not true. 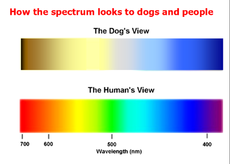 Dogs can see color - they just can't see as many colors as we can. Or, I should say, as most of us can. In your eye you have special cells called rods and cones. When you see things, you're looking at light bouncing off of objects. The job of the rods and cones is to detect that light, and send the information to your brain. Rods are very sensitive to light, but can't see color. They're what you use at night. Cones only work in bright light, but they can see different colors. 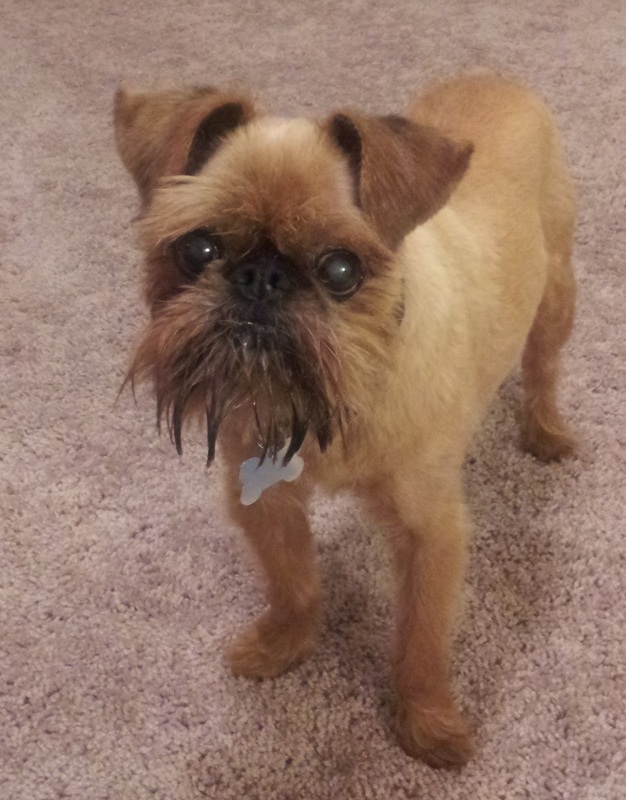 Since this post is about color vision (and whether dogs have it), I'll talk about cones for the rest of the post. 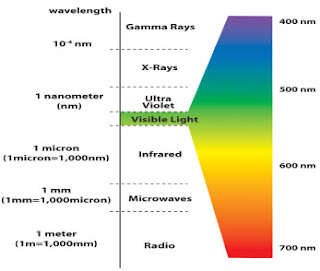 White light is a spectrum made up of all the colors. You can check this out for yourself by shining light through a prism. When that light hits an object, the object absorbs some of the colors, and reflects others. What you see is the reflected light, or the reflected colors. You have three types of cones, each specialized for different colors: red, green, and blue. Red light activates the red cones. Purple light activates the red and blue cones. This is kind of like how mixing primary colors when painting creates new colors. The only difference is that in paint, the primary colors are red, yellow, and blue; but in light, the primary colors are red, green, and blue. Every color you see comes from the three cones being activated in different amounts, with the amount depending on the color. The cones talk to the brain. The brain calculates the different levels that the different cone types are activated, comes up with a result, and perceives it as color. Some people only have two types of cones instead of three. These people are colorblind. The most common kind is red-green colorblind, where someone is missing either the red cones or the green cones, and has difficulty telling the difference between red and green. More rarely, people will lack blue cones, and have difficulty telling the difference between blue and yellow. Colorblindness is hereditary, and more likely to affect boys than girls. If dogs could only see black and white, then they should only have rods. But it turns out that dogs have cones. They have two types of cones, instead of three. Sound familiar? Dogs are red-green colorblind. We know this because 1) they have two cones types, and 2) when given vision tests, (with lots of yummy treats for motivation!) they can distinguish colors like red-green color blind people can. This means they can see colors, but they can't tell the difference between red and green. Interesting and amazing how your post is! It Is Useful and helpful for me That I like it very much, and I am looking forward to Hearing from your next..can dogs see color?